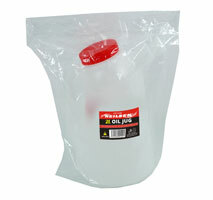 For fast oil filling without spillage. 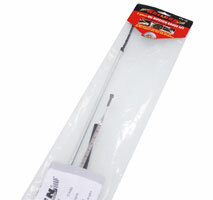 Great for many late model vehicles with internal baffles. 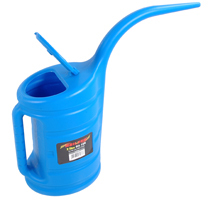 2 litre funnel with 6 adaptors to fit a wide range of vehicles. Plus Offset Extension Tube with swivel feature for hard to reach places. 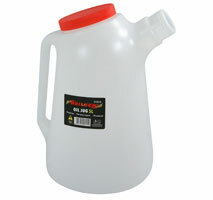 2L Funnel allows for fast oil filling without spillage. Special angle extension with swivel feature for hard to reach places. 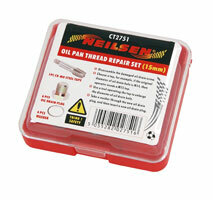 12 Bayonet / Thread and Twist Adaptors for most makes and models. 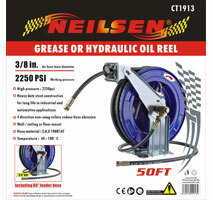 Removes and replaces any non-corrosive liquid. Perfect for Transmissions . Differentials . Gear Cases . Crankcases. Knurled thick wall barrel for secure grip. 12in. 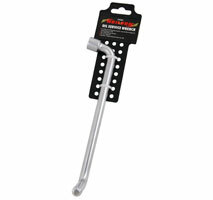 / 300mm flexible hose. 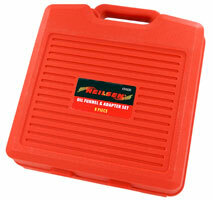 Hose Reel - 50ft 3/8in. 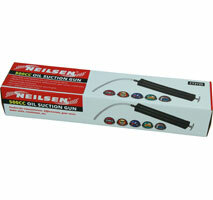 Vehicles have no oil gauges so necessary when changing oil. for the plastic sump plugs found on VAG vehicles. on Audi | Golf Mk VII | Seat Leon. 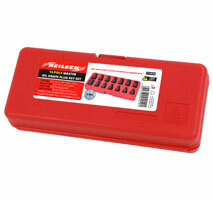 Specifically for the plastic sump plugs found on the latest VAG vehicles. 1.6 and 2.0 twin cam diesel engines found in the VAG range. 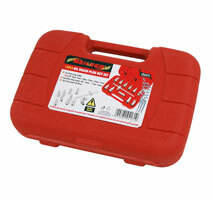 10mm 8 Point Star and 8mm Square Oil Service Tool. 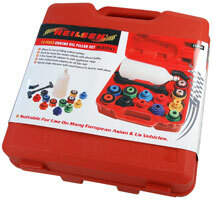 For oil filler / drain plugs on gearbox / sumps and axles. Applicable to Peugeot and Renault vehicles since 1983. Chrome vanadium with Satin polished finish. 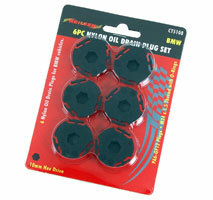 Replacement Nylon Oil Drain Plugs for BMW vehicles. 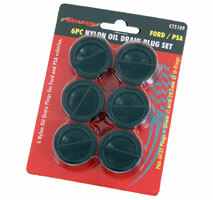 Replacement Nylon Oil Drain Plugs for Ford and PSA vehicles. 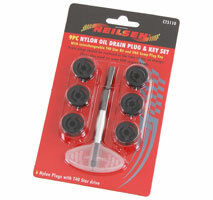 Replacement Nylon Oil Drain Plugs for VAG vehicles. 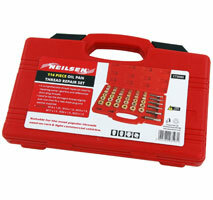 With T40 Star Bit and Sump Plug Key. 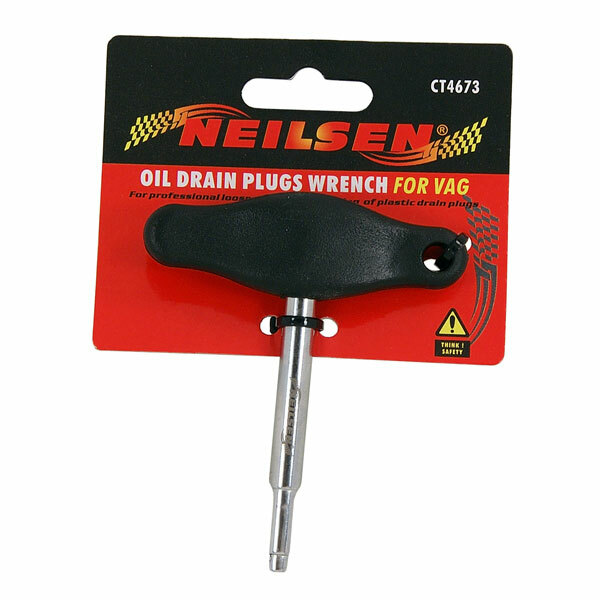 Drain plugs should be replaced at the time of the oil change. Plugs also used on some VAG engine heads. 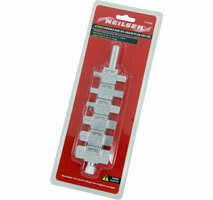 Double ended steel keys with hex and square profiles. 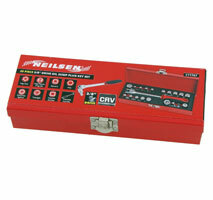 Suitable for drain plugs on engine sumps, gear boxes and back axles. 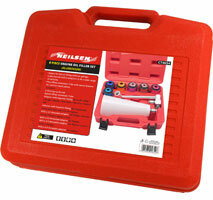 Ideal for BMW and most other vehicles. 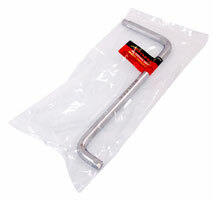 Hex keys : 8 | 9 | 10 | 12 | 14 | 17mm | 3/8in. 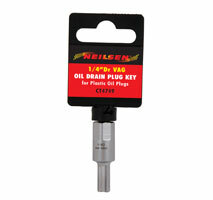 Square Keys : 8 | 11 | 13mm | 3/8in. Square Bits : 7 | 8 | 10 | 11 | 12 | 13 | 14mm | 5/16in. 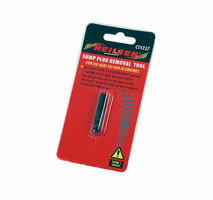 Ideal for repairing sump / gearbox and differential drain plug threads. 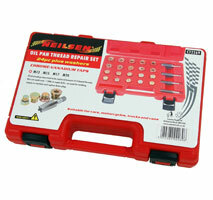 then fit a new drain plug and washer supplied.